Consumers have welcomed AI but still prefer voice to robots. Artificial intelligence (AI) is no longer alien to consumers according to new research from Capgemini's Digital Transformation Institute which explored how people prefer to interact with this new technology. The firm's new report, “The Secret to Winning Customers' Hearts with Artificial Intelligence: Add Human Intelligence” surveyed 10,000 consumers and more than 500 companies across 10 countries to reveal that 55 per cent of consumers prefer interactions enabled by a mix of AI and humans while 64 per cent want AI to be more human-like. Of those surveyed, almost three-quarters (73%) indicated that they have interacted via AI and 69 per cent of those who have used AI report being satisfied with their interactions. 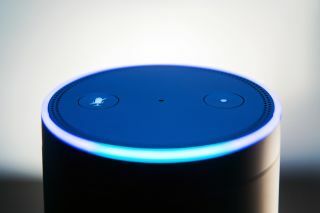 Consumers are growing more comfortable with the technology and 48 per cent are excited by the opportunity to delegate tasks to an electronic personal assistant while an additional 46 per cent believe it will enhance their quality of life. As consumers become accustomed to using AI, they are also becoming more comfortable with the technology having human-like attributes. 62 per cent noted that they are comfortable with AI having human-like intellect while almost half (49%) said they would have a higher affiliation to a company if their interactions enabled by AI were more human-like. Surprisingly this preference was shared across all age groups between 18 and 55+ years. The idea that AI should be heard and not seen was shared by more than half of the respondents (52%) who are not comfortable when AI is set up to resemble a person.